In his 1936 Declaration of Intention to become a U.S. citizen Jacob Tereshko says he was born Jan. 3, (or Jan. 16,) 1896, in Suchinichi, Poland. His brother, Wasil, gives the same place of birth in his Declaration of Intention, also in 1936. In his 1983 interview by 8th graders from Abbot Middle School, he identified his birthplace as “White Russia, state Grodno, town Dubno, village Suehenech.” In the brothers’ 1913 passenger manifest their birth place is given as Suchinitz, Russia. Suchinichi seems to be the correct spelling. Grodno is located in the northwestern corner of what is now Belarus, formerly called White Russia, near the Polish border to the west and the Lithuanian border to the north. It is about 150 miles due west of Minsk, the capital of Belarus. The Tereshko brothers were sons of Michael and Adelia (Belida) Tereshko, and several members of the Belida (also spelled Bilida) family also immigrated to Westford. 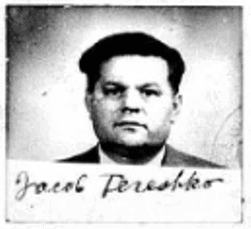 Jacob’s older brother, Wasil, born March 9, 1886, was the first of the Tereshkos to come to America. He immigrated to Westford in about 1908, and he was here in September 1910 when he married Antonina “Annie” Salay, who he had known in Suchinichi; she was born there in 1893. They returned to Suchinichi sometime between 1910 and 1913. In 1913 Jacob and Wasil went to Glasgow, probably sailing from a Baltic port directly to Glasgow, or possibly to an eastern British port, such as Hull, where they would have taken a train to Glasgow. On May 31 they sailed from Glasgow on the S.S. Caledonia (under the surname Cereschko) and arrived in New York City on June 9. Their final destination was “Graniteville” per the ship’s manifest. Jacob and Axzenia Tereshko had two daughters and two sons. The daughters, Antanina and Elena, never married and remained in Westford. The first son, Michael, named for his grandfather Tereshko, lived but one day in July 1927. 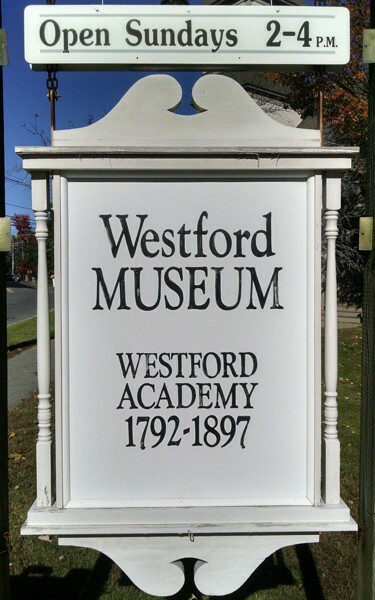 Jacob, Jr., a Pro Merito graduate of Westford Academy in 1941, married Doris Anna Lowrey and lived in Chelmsford. Wasil and Annie Tereshko had two daughters and a son. Nellie married William Martin, and Dominica “Dimitri” married Domenic Accettullo. Walter Patrick Tereshko married Claire Lucille Lucas of Nashua, N.H. All the brothers’ children are buried in the Russian Brotherhood Cemetery except Dimitri and Walter. By 1930 Jacob had moved to Oak Street, and by 1940 he was around the corner at 13 Chestnut Street, both in Forge Village. In 1941 he and his wife bought the home at 8 Pine Street, Forge Village, from Abbot Worsted Co., where he was living when he died June 4, 1987, aged 91. Wasil remained in Graniteville. He was living on Maple Street in 1930 and 1940 and at the time of his death, January 23, 1956, five days before his 70th birthday. Both brothers, their wives and all their children except for Dimitri and Walter are buried in Westford’s Russian Brotherhood Cemetery on Patten Road. Jacob served as president of the cemetery board in the 1940s, and Wasil was a board member.